Philip Juma, founder and head chef of the JUMA Kitchen, talks about his childhood Kleisha, a firm favorite Iraqi date and cardamom cookie. 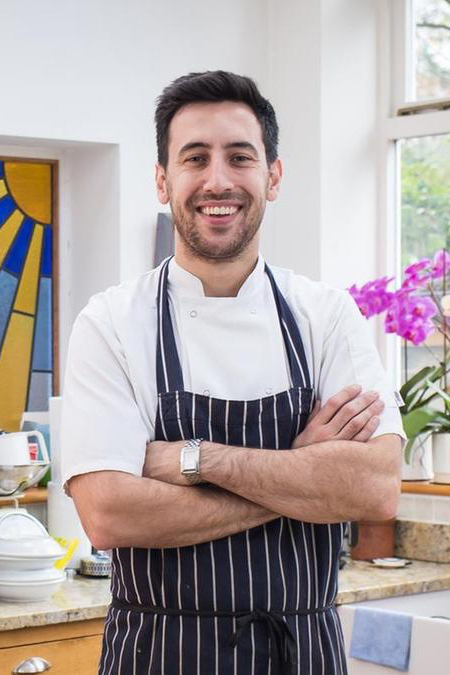 As a self-taught chef, Philip has taken his experiences from London’s contemporary restaurant scene and translated them onto the plate of traditional Iraqi dishes using modern cooking techniques and Michelin flair, while always staying true to his food heritage. This unique approach has unquestionably set him aside from his peers and is arguably the only chef in London, promoting Iraqi cuisine in this way. Based in London the JUMA Kitchen celebrates the best of Iraqi cuisine. Since its inception in 2012, Philip has been hosting sell-out supper clubs across London and the UK; he is a food columnist for The London Evening Standard, and hosts demonstrations at London’s Borough Market. He has catered at many high-profile events such as the Cinnamon Club’s Annual Party and the Financial Times Weekend Festival. Philip is also a proud cooking teacher at Le Cordon Bleu Firenze, Italy. Kleisha Photo courtesy John Holdship. If you are invited to an Iraqi household, I am sure you will be offered kleicha (date and cardamom cookie) with tea. It’s one of the many hospitable traits that we Iraqis have to welcome our guests and show them love through food. The smell of freshly baked Kleicha is one that ignites many happy memories. 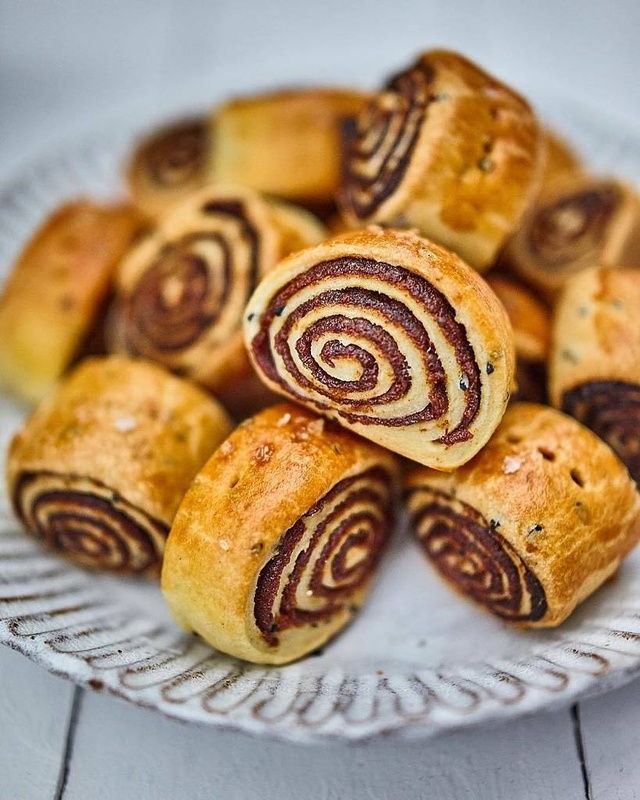 I remember them being baked throughout Easter and Christmas times and the house filled with the scents of sticky dates, cardamom and buttery pastry. For the JUMA family, Easter and Christmas are times of celebration, togetherness and feasting! Friends, family and loved ones would come and visit our home and a mountain of kleicha would be on the dining table and offered as a snack or as a sweet to end the meal. I remember my brother and I unable to resist devouring three to four kleisha before dinner as their aroma was truly irresistible. The golden-brown pastry and the date swirl would have ‘eat me!’ written all over it, and being young and hungry, we just couldn’t say no. Iraqis love to serve cardamom tea after dinner and kleicha is the perfect accompaniment. Personally, I love having them with a cup of English breakfast tea! One spoonful or two of nigella seeds, in the pastry, adds such amazing aroma and depth of flavour. Many Iraqis fill it with walnuts instead of dates and both are equally delicious. I invite you to try this recipe that I have been tweaking for sometime. Recently I started adding a pinch of Maldon rock salt to balance the sweetness of the dates. Date paste can be found in most Middle Eastern supermarkets and is usually packaged in 1 kg blocks. Begin by making the pastry. In a food mixer, add the flour, melted butter, yeast, and sugar. Next add the salt; NB: ensure the salt is placed as far away from the yeast, as they cancel each other out. On a low setting, mix the ingredients together. You are looking for almost a pizza dough texture. Add water gradually and if you feel the mix needs more, then add it some more. When you feel it is close, add the nigella seeds. Once blended, push the dough with your hand, the dough should spring back and feel moist. Place the dough in a bowl and cover with a towel – leave to rest for 40 minutes to allow the yeast to activate. Begin by heating a large saucepan with the sunflower oil. Add 150 g date mixture. It will seem hard at first, however, as the pan heats up, the date mix should begin to soften. Add the cardamom powder. Keep stirring and folding it. You are looking for a soft texture that can easily be rolled. Seperately, take your sandwich bag and place a ball of date paste (size of a small apple) on top, and then place another sandwich bag on top of the date.Roll the date paste out to a rectangular shape, it should be easy to shape/mould. Set aside. Take your risen ball of pastry and separate it into 4 pieces. On a floured surface roll the pastry out into a rectangle shape. You are looking for the longest part to be vertical and the shortest, horizontal to you. Take your date rectangle and peel away the top layer and place the dates on top of the pastry. Remove all of the plastic from the dates. Any gaps on the pastry, you can just fill it in with extra date paste. Next, shape your cookies. Begin from the vertical side and roll from right to left. You are looking for a tight roll. Start from the top and work your way down. Take your rolled pastry and cut the kleicha as you see fit.Traditionally, 2-3 inches in size. Brush with beaten egg and bake in the oven for 20 minutes at 180°C. You are looking for a golden colour and the smells should be wonderful. Repeat for the other 3 batches, 3 x 150 g date paste, on 3 pastry pieces. Once all baked, make yourself a cuppa and enjoy!! !